Hundreds of cars remain trapped on the westbound carriageway of the M55 following a five vehicle crash this morning. Highways England have now cut a gap in the central reservation and are currently directing trapped traffic to this area in batches. 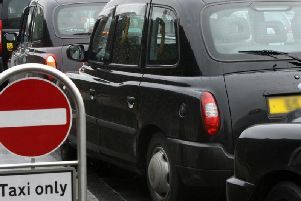 A spokesman for Highways England said: "We work from the back of the queue up the gap in barrier then we u-turn the traffic from the gap past the scene. "As for a timescale. It depends where you are in the queue. But be assured we're working as fast as we can." The westbound carriageway of the M55 is expected to remain closed until at least 6pm this evening, say Highways England. The accident happened at junction 3 for Kirkham at around 8.40am this morning.